20cm height by 10cm spread. Upright, multi-stemmed flowers from clumps of foliage. Prefers humus rich soil which does not dry out in the summer. Happy in any soil type and location. The pure white, relatively large, nodding flowers have longer outer petals which open to reveal tiers of shorter petals with distinctive green markings at their tips. It can be distinguished from similar snowdrops by the presence of a third leaf on each stem (there are usually only two). Excellent to provide some cheerful colour in the depths of winter. Use in borders/beds, rock gardens or for underplanting roses, shrubs and trees. Can be naturalised in lawns. When buying snowdrops it’s best to get them ‘in the green‘ – with the leaves still in growth – as this will help them establish more quickly. Dry bulbs can take a season or more to settle in before they will start flowering. Divide clumps every few years to keep this vigorous snowdrop growing well. Lift and divide clumps in spring after flowering but while the leaves are still growing (called ‘in the green’). Chipping can be done in early summer and twin-scaling throughout summer, with the new bulbs being grown on in a humus-rich nursery bed in light shade and kept above -2°C, or grown on in deep seed trays or pots in a frost free place. The new plants should flower after three years’ growth. 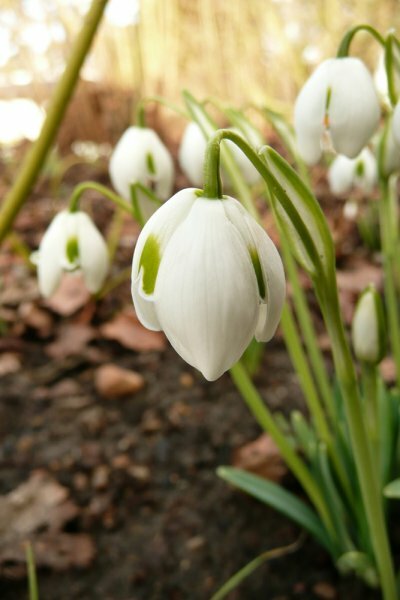 This is a double-flowered snowdrop and, therefore, cannot be grown from seed. Can be prone to attacks by the narcissus bulb fly and slugs. Birds can also damage the flowers by pecking at them. Grey mould, galanthus grey mould blight and gladiolus dry rot may also be a problem. 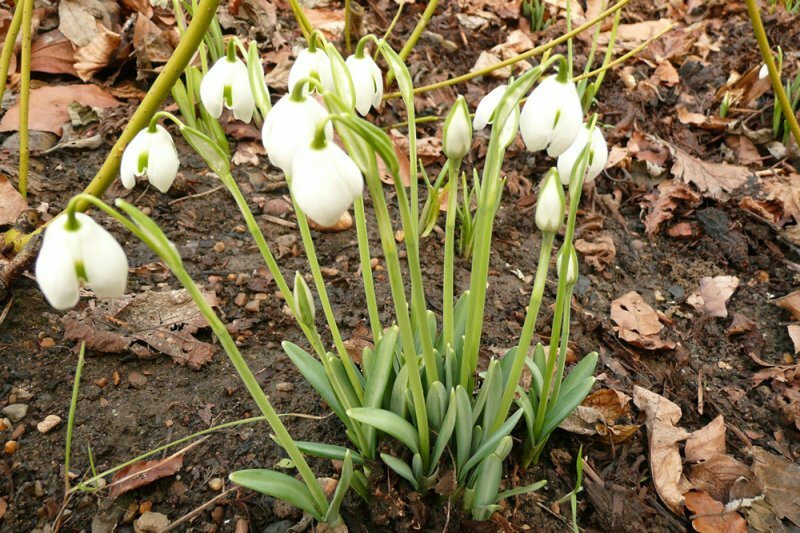 The name Galanthus is derived from the Greek words for milk and flower. Fans of snowdrops are called galanthophiles. 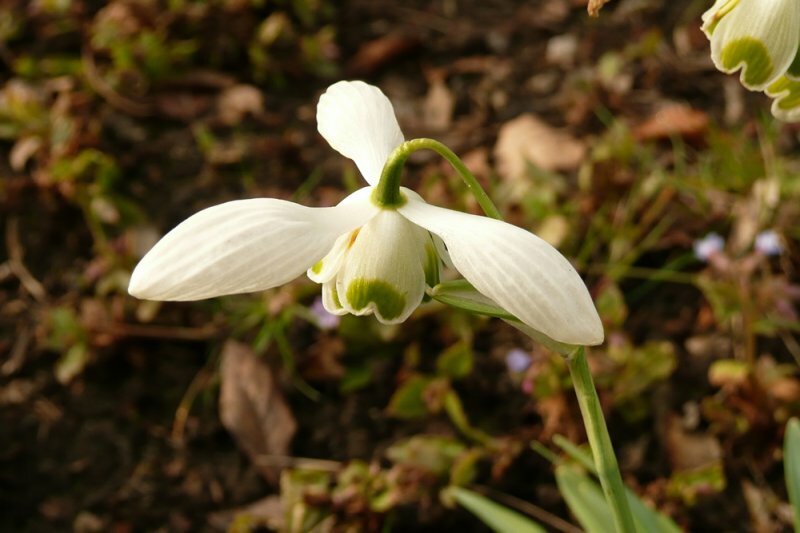 This is a ‘Greatorex’ snowdrop; one of a series of cultivars created by hybridising Galanthus plicatus and Galanthus nivalis ‘Flore Pleno’. Each of the cultivars developed are named after different Shakespearean characters. Contact with the plants can irritate the skin and a mild stomach upset may be caused if any parts are eaten.